Our purpose is to provide mammography exams for early detection of breast cancer and to give peace of mind regarding a woman’s current health status. The problem is that 80% of the women that should have an annual mammography exam don’t because they are unable to find a mammography facility that is conveniently located for easy use or it takes too much time to arrange appointments, travel and request time off work (approx. 2 hours), etc. Our answer to that problem is that We Come To You! Our professional staff and latest technology focuses on the patients personal comfort safety and privacy. Our fees, which include mammography exam and radiology reports, are lower than the average fee charge by fixed site mammography providers. 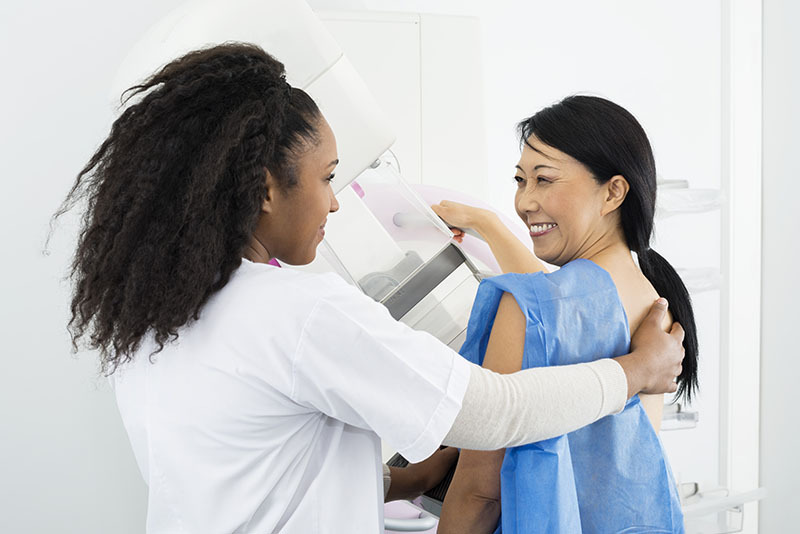 We provide the Radiologist with the highest quality mammography images for interpretation and report generation. 90% of our patients tell us they would not have completed their annual breast cancer screening if MOM had not been sponsored by their employer or other sponsors.